I hope you like what you see. I have always liked to create things. The process of designing and building something unique has always brought me a lot of satisfaction. I believe this came from my father who was a wonderful woodworker himself. 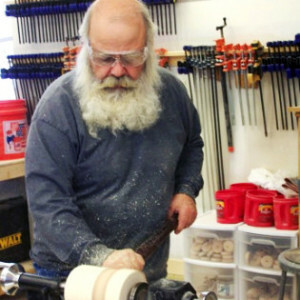 He taught me how to work with tools and to shape the wood starting when I was very young. When I got older I found myself going to art school where I would receive valuable training in design and three dimensional sculpture. I would go on to work as a designer and builder for live theatre and as a display artist for corporate events and trade shows. I have also been a professional Santa Claus for over 30 years. 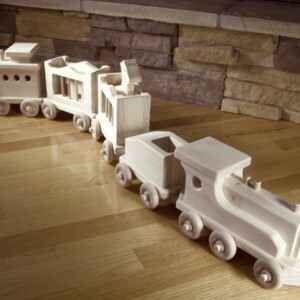 While I was doing this I was also making various things like wood toys for friends and relatives children and delivering them on christmas as Santa. I'am now doing the same thing for the children of the kids I first did it for. So one day with a lot of encouragement from family and friends I decided to start selling my creations to everyone else and the rest is history. 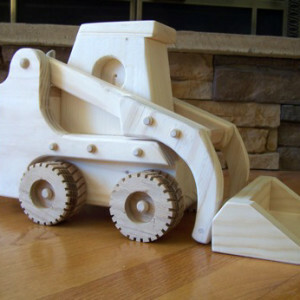 So if you are looking for a rugged handmade wooden toy for your child or grandchild check out our selection. 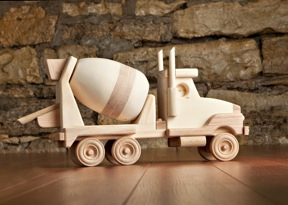 With little care these wooden toys can become heirlooms and be passed down from generation to generation and enjoyed for years to come. I still have some my father made for me. THANKS DAD. You're at the air races. This racing airplane measures 19 inches long with a wingspan of 14 1/2 inches. 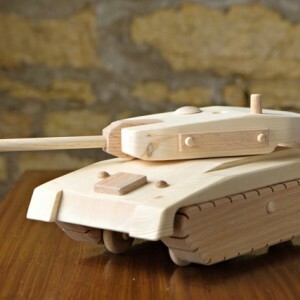 It is constructed of pine and oak with birch wheels. The propeller spins. The Red Baron flies again. 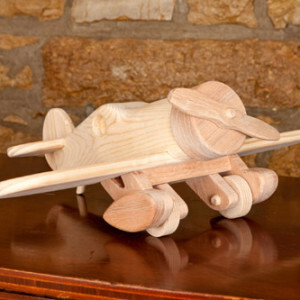 The airplane measures 16 inches long and 9 inches tall at the top of the wings. The wing span measures 17 inches. It is constructed of pine and oak with birch wheels. The propeller spins. 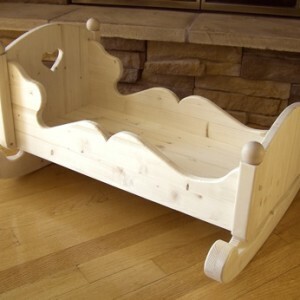 The doll cradle measures 25 1/2 inches long by 20 inches wide at the rockers and 14 1/2 inches tall. 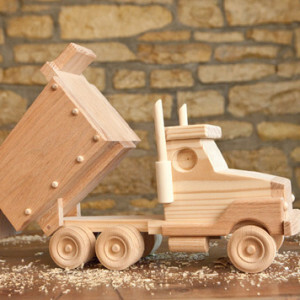 It is constructed out of pine using a water based safe glue and dowels and left unfinished. The inside dimensions of the cradle are big enough to fit up to a 23inch tall doll. 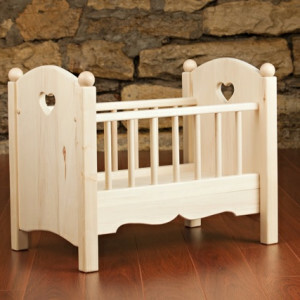 This doll crib measures 23 inches long by 14 1/2 inches wide by 18 inches tall. 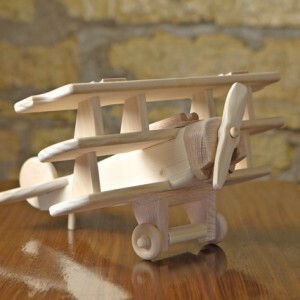 It is constructed out of pine using a water based safe glue and dowels. The inside dimensions of the crib are big enough to hold up to an 18 inch tall doll. 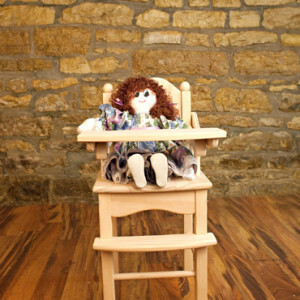 This doll high chair is constructed out of pine using a water based safe glue and dowels. The inside dimensions of the high chair are big enough to hold up to an 18 inch tall doll. 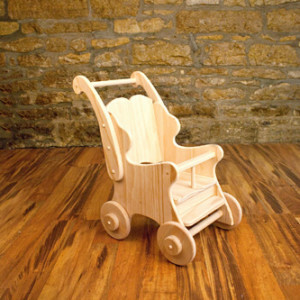 This doll stroller is constructed out of pine using a water based safe glue and dowels. The inside dimensions of the stroller are big enough to hold up to an 18 inch tall doll.